The smartest snap-on jar sifter to dispense mineral powders. 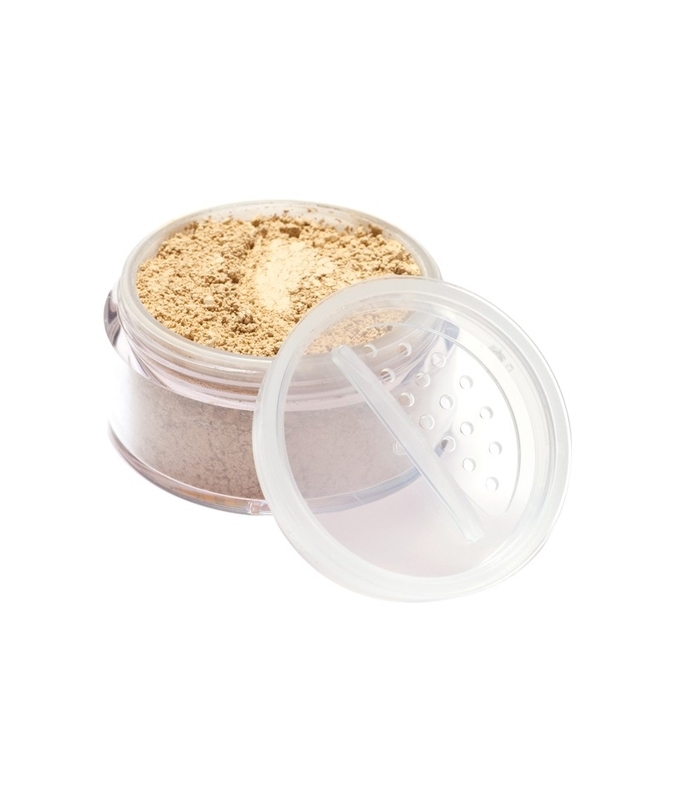 Rotating sifter for conveniently measuring our mineral foundations, powders, blushes, and bronzers without wasting any or spilling any powder. The Rotating Sifter dispenses powder more easily and accurately. 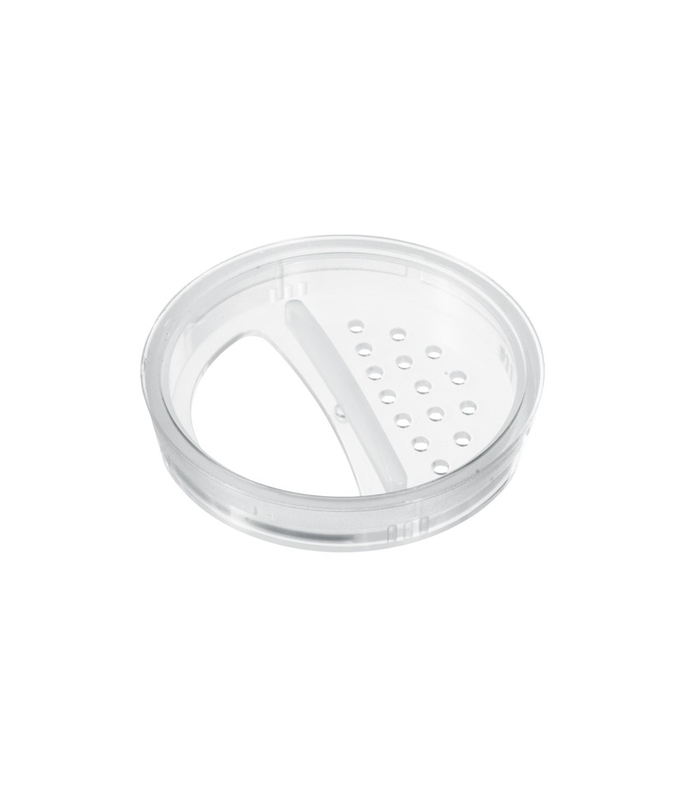 Plastic dispenser with holes, diameter 4,5 cm with rotating snap-on collar. It can be fitted in all our foundations, concealers, powders, blushes, and bronzers jars. 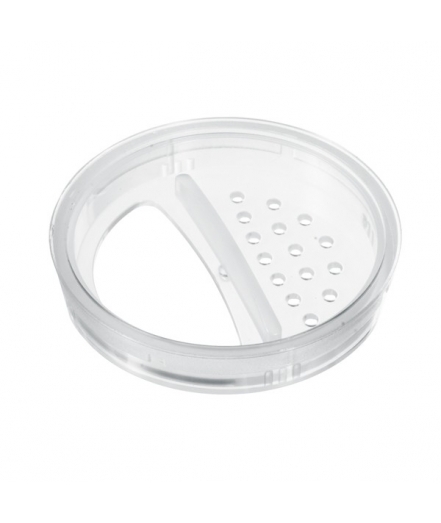 Rotate the bar of the sifter until the holes are uncovered so the product can come out. You can uncover all the holes or only some of them for greater control over how much comes out. When finished, close the sifter completely to avoid spilling anything.